IEM Founder, President, and CEO, Madhu Beriwal, has over three decades of experience in disaster and emergency management, homeland security, national defense, and the use of information technology to resolve complex protection issues. Beriwal founded IEM in 1985 as a company dedicated to developing solutions for the most complex challenges in emergency management, homeland security, and defense. Today, IEM is the largest woman-owned homeland security and emergency management firm in the U.S., relied on by those charged with ensuring the safety, security, and resiliency of citizens, soldiers, communities, regions, states, infrastructure, and nations. IEM’s customers include federal agencies like the Department of Homeland Security and the Department of Defense; state and local emergency management organizations in all 50 U.S. states, the District of Columbia, and three U.S. territories; critical infrastructure including nuclear power plants, chemical plants, hospitals, mass transit agencies, and ports. IEM’s international work includes projects in the Middle East, India, Russia, Turkey, the Ukraine, Korea, Taiwan, Haiti, and Kuwait. Today, under Beriwal’s leadership, IEM is leading the largest disaster housing recovery program in the United States. In Louisiana, IEM is managing $1.3 billion in federal funds, serving tens of thousands of survivors affected by the Great Floods of 2016. As part of this effort, IEM has delivered federal funds for survivors faster than any other rebuilding program of this type and magnitude. Beriwal oversaw the design of IEM’s innovative approach to managing the state of New York’s $1 billion post-Hurricane Sandy disaster recovery housing program. After witnessing the challenges of Louisiana’s recovery program after Hurricane Katrina, IEM created a unique outcome-focused process designed to speed up historically slow recovery programs. This process allowed IEM to reduce program administration costs for the state of New York by 33%, while moving homeowners through the program four times faster than the previous contractor and with 30% fewer resources. IEM distributed $100 million to homeowners for the repair and reconstruction of their homes in just 60 days. Beriwal is also applying this outcome-based approach to managing the completion of New Jersey’s post-Sandy Homeowners Rebuilding Programs, helping over 2,000 families achieve a full recovery. Recognizing a need to apply science and objectivity to public protection decisions, Beriwal was the first to develop and apply quantitative performance measures for one of the most challenging federal protection programs prior to 9/11. She has provided corporate leadership for the creation of decision support tools that help officials at all levels save lives during technological hazards. These tools provide response recommendations for millions of possible scenarios and reduce the time required to make response decisions. Beriwal’s experience in defense includes measuring and improving preparedness and response for large-scale military programs, overseeing the development of simulation-based acquisition tools for major chemical-biological defense programs, and developing frameworks for terrorism prevention and analysis and mitigation of insurgent actions overseas. For over 30 years, Beriwal has been dedicated to the use of technology to enhance preparedness and response. She was involved with some of the earliest efforts by FEMA to integrate technology and emergency management, and taught courses in evacuation planning and the use of computers in emergency management at FEMA’s Emergency Management Institute. She also led an effort to develop response tools for a public protection program mandated by the EPA after the Bhopal disaster in 1984. 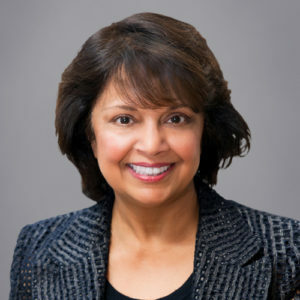 Since then, she has played a key role in developing requirements analysis for multi-million dollar emergency management software tools, analyzing and recommending information technology staffing, and developing architecture and tools for simulation-based acquisition—all for protection programs with lifecycle budgets reaching as much as $2 billion. She has provided strategic direction for numerous modeling and simulation studies whose results drive policy, strategy, and investment decisions at the federal, state, and local levels. Prior to founding IEM, Beriwal worked for the state of Louisiana, focusing on floodplain management and hurricane evacuations for the city of New Orleans and surrounding areas. In 1984, she received a Special Merit Award from the Louisiana Emergency Preparedness Association for her achievements in hurricane emergency preparedness. She has been a member of the prestigious Army Science Board (ASB) and was on the Defense Science Board’s Task Force for Intelligence Needs on Homeland Defense, created at the request of the DOD and the CIA to address counter-terrorism intelligence requirements for homeland defense. In 2001, she was the invited facilitator for DOD’s Chemical and Biological Modeling and Simulation Futures Workshop, which examined strategic defense issues. Beriwal is a guest lecturer at the Homeland Security Executive Leadership Program at the Naval Postgraduate School’s Center for Homeland Defense and Security in Monterey, California, and is a frequent speaker at conferences, such as the International Association of Emergency Managers conference and the World Conference on Disaster Management. A true visionary and pioneer, Beriwal was inducted into the International Women in Homeland Security and Emergency Management Hall of Fame in 2012. In 2011, Beriwal was named an Enterprising Women of the Year by Enterprising Women Magazine. Beriwal holds a master’s degree in Urban Planning (Transportation and Land Use) and a bachelor’s degree in Geography and Economics.